The Mary Alice B. is a modern steel 65 foot tug built in 1931 in Duluth, Minnesota. 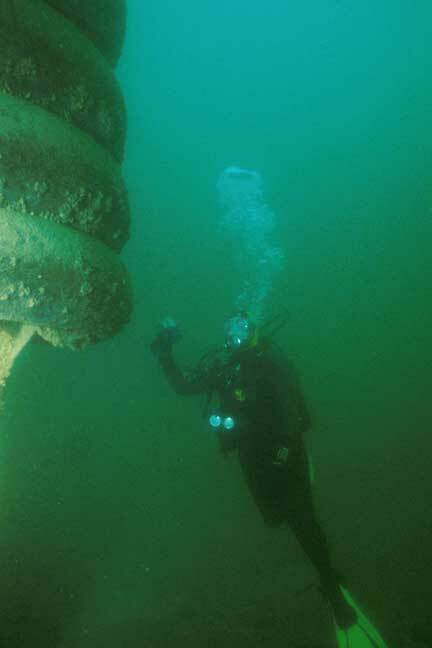 She was lost while being towed in 1975 about 6 miles out from Port Sanilac, Michigan. 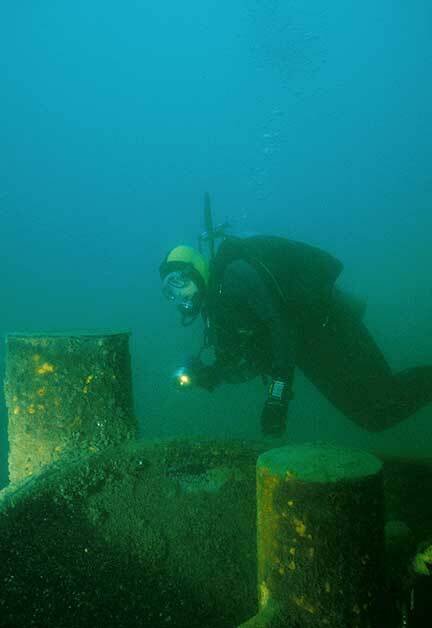 The tug rests in about 90 feet of water and is a very popular destination in the Sanilac Shores Underwater Preserve. 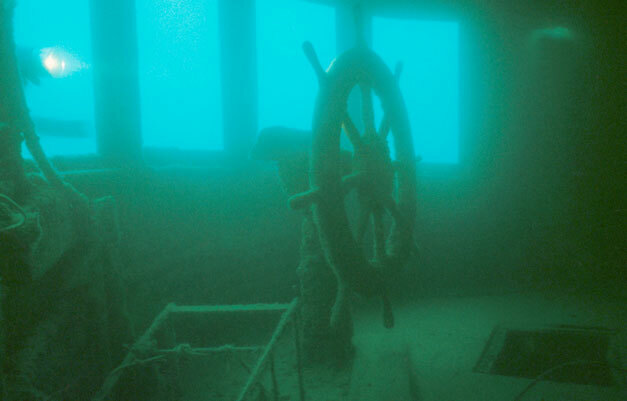 The highlight of the dive is the intact wheelhouse with the wheel still mounted on its pedestal. This is quite rare on a shipwreck, because in the days of artifact collecting a wheel like this would have lasted on the wreck for about one tank of air. Because it’s hard to find an intact and complete shipwreck at this shallow depth, the Mary Alice B. is an excellent dive. Diver inspecting the bumper protecting the hull of this very typical tugboat. 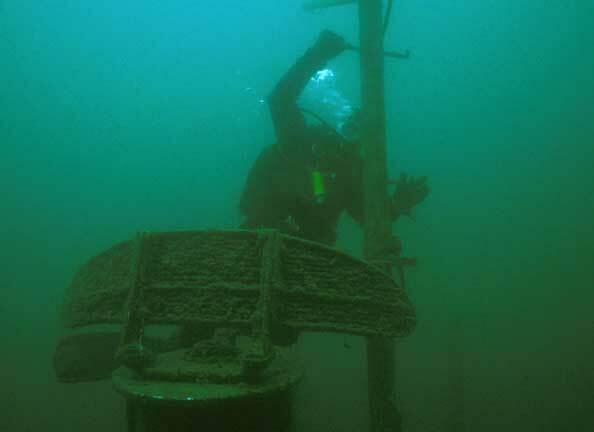 A diver above the radar antenna, above the pilot house. 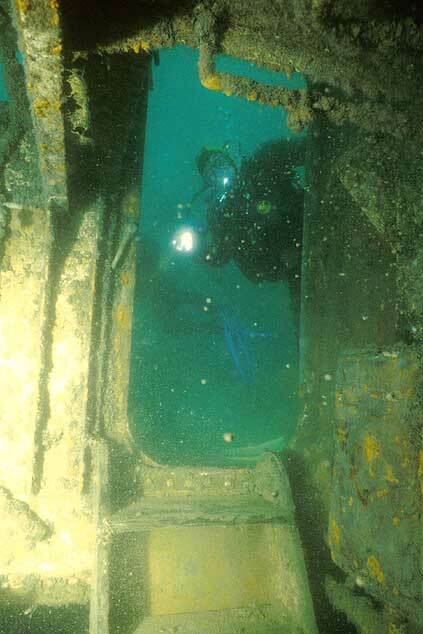 Looking aft at a diver outside of the engine room. Inspecting the bow, with its large towing bitts.